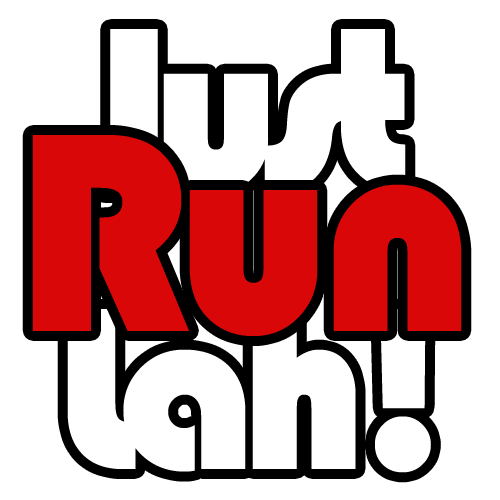 How to train for an obstacle race | JustRunLah! For running enthusiasts looking to take on a new challenge, an obstacle race could be just what you’re looking for. 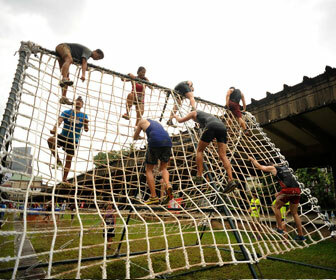 Singapore’s very own Commando Challenge, coming up on November 15th in Sentosa, isn’t for the faint-hearted. Obstacle races promise lots of fun, while at the same time putting one’s fitness levels to the test. They typically include hurdle jumps, wall climbing, tire swings and mud pits; while some challenges are exhilarating, others could be prove to be gruelling. You don’t need to be a professional or trained athlete to participate, but training yourself in fitness related aspects will help you greatly along this thrilling journey. In contrast to traditional running events, obstacles take a greater toll on your muscle strength. When you are signing up for such an event, it would be a good idea to take a close look at the route and its various obstacles to get yourself mentally and physically prepared. Most race directors will reveal details on the challenges, while others might not, adding the element of surprise. Crawling, pushing and pulling are typical exercises that will help you prepare, as they get you to exert your muscles. 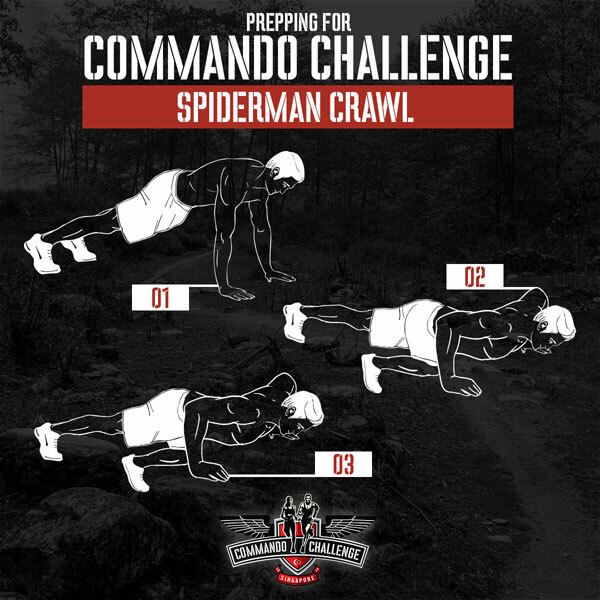 For crawling, get down on your hands and legs, and try the spiderman crawl for a few metres. Try to increase the distance consistently while keeping a steady pose. a distance of 20 to 50 metres, 2 – 3 times should be your target. Push Ups and Pull Ups are also important as they help strengthen your upper muscles. Start simple and slow. 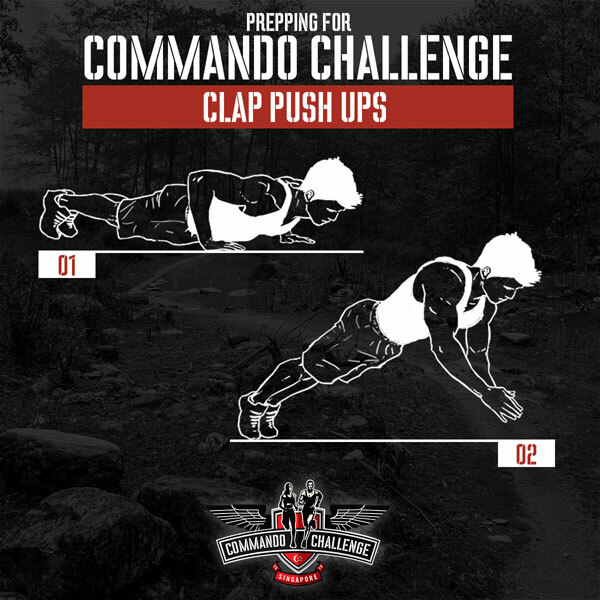 As your training progresses you might be able to do the much dreaded clap push ups and burpees. Of course, don’t forget to train for the run, as obstacle running events are running events, after all! Since you will be running against the clock between obstacles, you must practice for running shorter distances and sprinting, instead of training for the usual long distance marathon. Try interval training – i.e. workouts that involve alternating periods of high-intensity effort with periods of low-intensity effort – and add a bit of jumping to your regime. Additionally, you might also want to practice running with weights as many obstacle races ask participants to run while carrying or dragging objects, such as car tires or trunks. Improving your grip strength is important too and will come in handy when facing climbing, or using ropes. Chances are you will have to tackle tasks that involve balancing on a rope or log. You could practice this well ahead by engaging in similar activities.However, some might not have access to similar setups. But fear not, since balancing depends heavily on your core strength, go for some extra squats and lunges which are some of the most tasking exercises that improve muscle strength and can prepare you for the toughest races. Another task many obstacle running events include is challenging your body with extreme temperature changes. A good idea is to prepare your body to combat sudden drop in temperature. In the tropical climate of Singapore the best way to simulate this is by taking cold-water showers. When you dip into cold water, your body will try to compensate for heat loss and lower the blood supply to the arms and legs! If you don’t know how this will feel, you will not be able to cope. It might take a few seconds before you are acclimatised. As with all other challenges of obstacle events, it is best to try and prepare your mind and body ahead! All in all, going for an obstacle event will challenge you both physically and mentally. And that’s why completing one will give you extra satisfaction! The exercises and drills given above should help equip your body for what is needed in most cases. Adapt and choose what to work on, based on the obstacle event you are participating in and your own strengths and weaknesses. Whatever you do, keep in mind that health and safety comes first, know your limits and never overdo it! Don’t forget to have lots of fun with your friends and fellow runners and display proudly your hard earned medal. 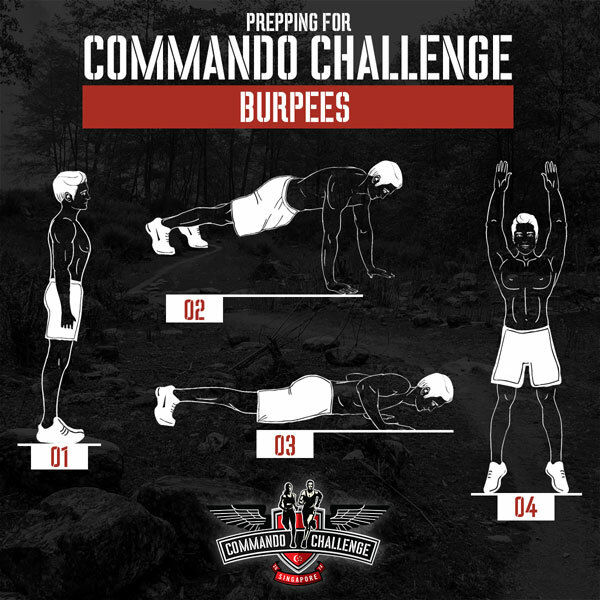 I did the commando challenge last year – I think it’s something you have to try once – but I wasn’t really a big fan and I won’t do it again. My lasting memory is the three huge ice baths at TP Station. I could literally feel my legs seizing up as I was crawling through them – by the time I tried to get out of the third bath I had to use my hands to pull my legs up and over the side of the bath! 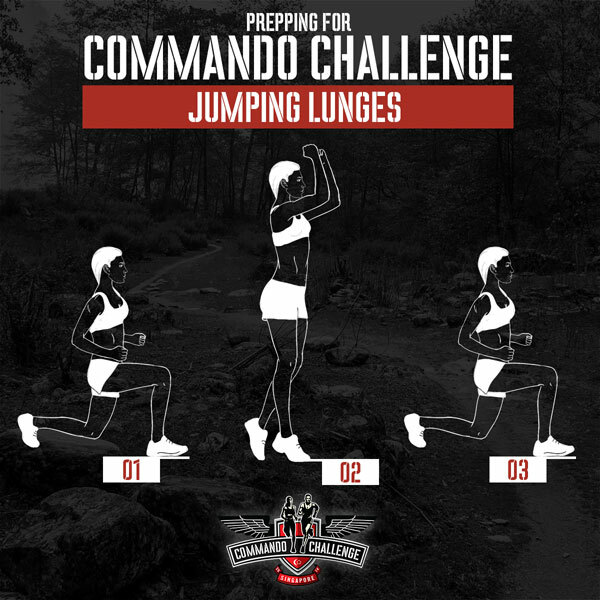 Good luck to anyone going Commando this year!